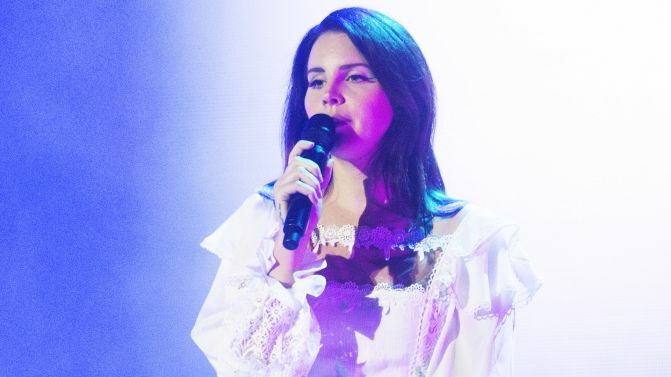 ORIGINAL STORY: Lana Del Rey has spoken in more detail about the lawsuit she’s currently facing, after Radiohead allegedly claimed she copied elements of their 1992 hit ‘Creep’. Performing in Denver, Colorado last night, Del Rey spoke about the song at the centre of the lawsuit — ‘Get Free’ — which she says may end up being removed from her latest album, Lust For Life. “Regardless if it gets taken down off of everything… those sentiments that I wrote… I really am still going to strive for them, even if that song is not on future physical releases of the record,” she said. Watch her full speech below, and compare ‘Get Free’ and ‘Creep’ right here. Yesterday, Del Rey took to Twitter to tell fans, “Although I know my song wasn’t inspired by ‘Creep’, Radiohead feel it was and want 100% of the publishing – I offered up to 40 over the last few months but they will only accept 100. Radiohead are yet to publicly comment on the lawsuit. Del Rey is scheduled to tour Australia later this year, as part of her first Aussie trip since 2012.